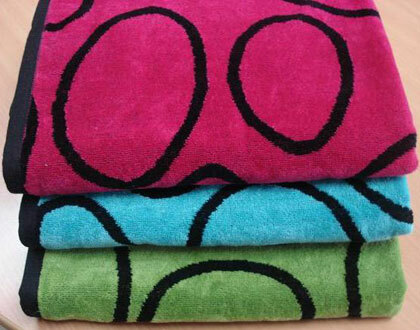 We are manufacturing and exporting highly trendy range of Terry Towels. These towels are crafted using finest quality material, sourced from the most trusted vendors of the market. Our ranges of terry towels are extremely soft and absorbent. These towels are available in a range of colors with attractive borders to give them durability and shape retention. We use 100% soft cotton yarn to make our range of terry towels, which allow us to deliver them in various colors and sizes. Copyright @ 2013 All right are reserved.